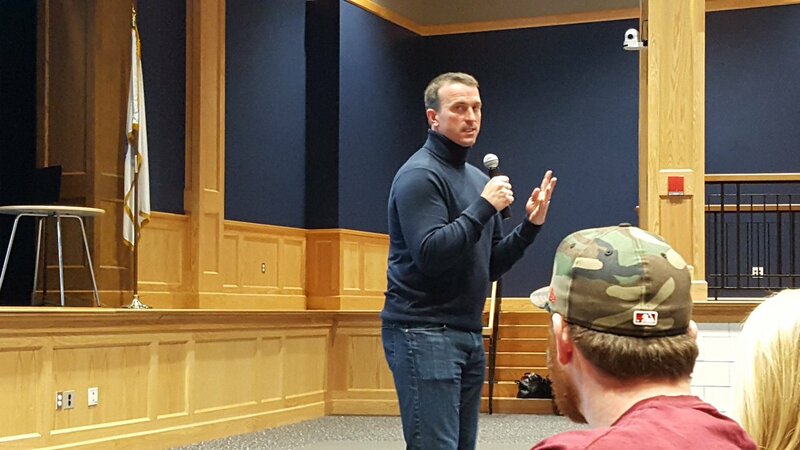 "At age 15, when he was spending his mother’s money on drugs and getting drunk to hang out with friends he’d known his entire life, Chris Herren wishes someone had asked him one simple question. “Like, with all you have going for you, why?” said Herren, the former Boston Celtics player and one-time drug user who now dedicates his life to the cause of preventing others from making the same bad choices he made. Decades later, Herren is imploring schools to begin asking that same question of their students, promoting dialogue around the factors that lead young people to use drugs and alcohol." #safe-ch0229 "I did not know that one pill was going to change my life"